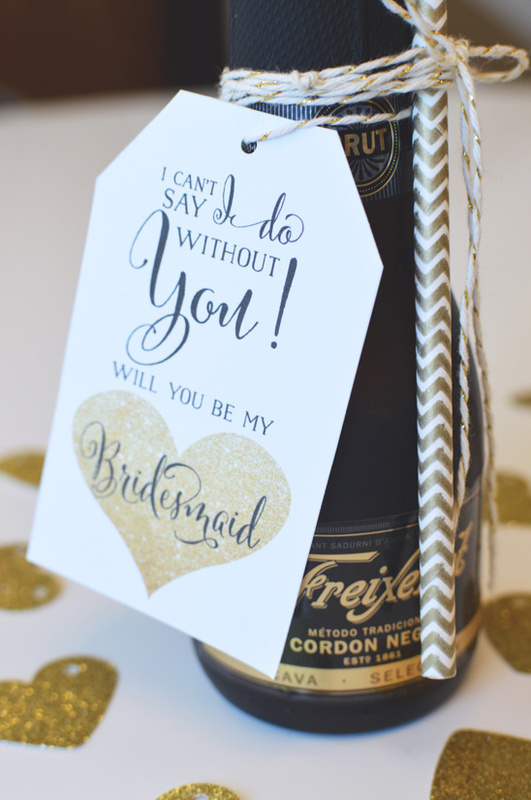 In need of some easy peasy will you be my bridesmaid ideas? 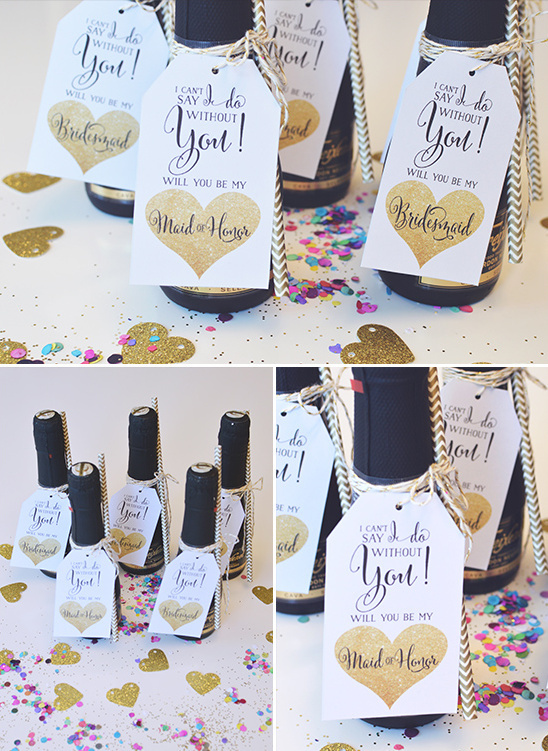 Why not surprise them all with these super cute and super easy will you be my bridesmaid gift, using - Freixenet. Not only is the ADORABLE TAG FREE above, but we also have step by step directions on how to put this together! Cheers! 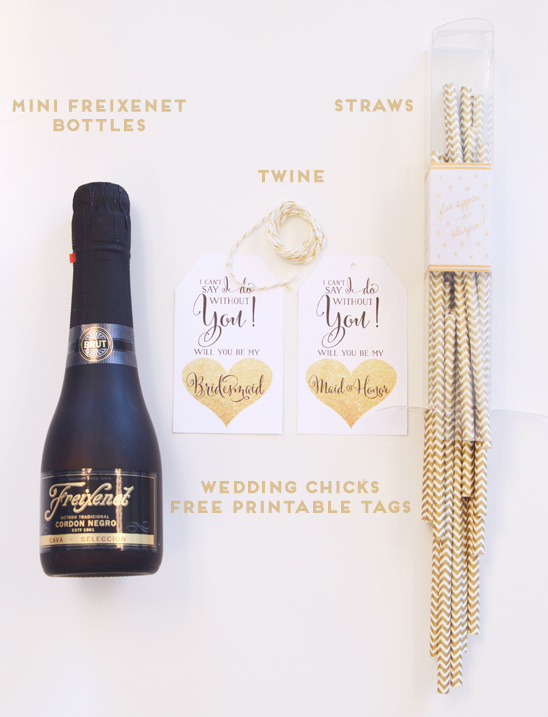 Mini Freixenet bottles, Wedding Chicks free printable tags, twine & straws. 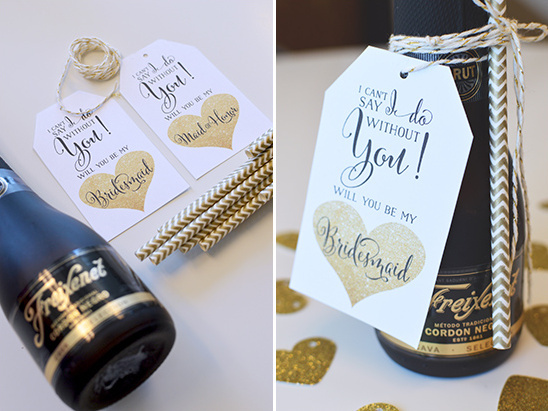 Start by purchasing several Freixenet mini bottles. 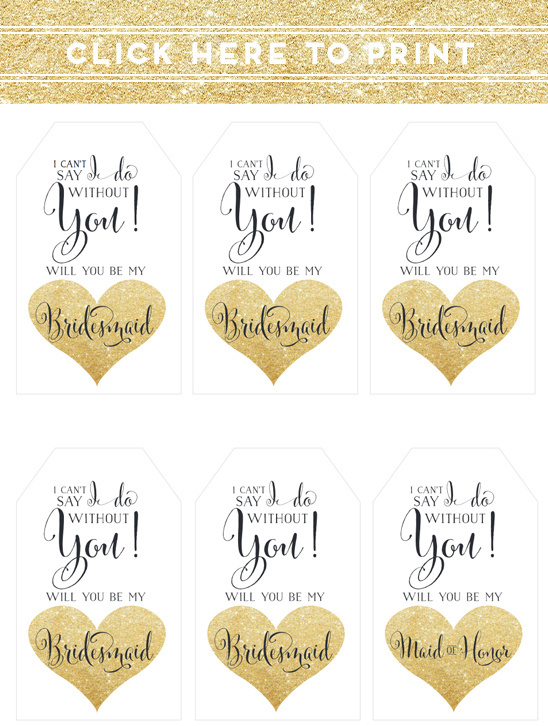 Then download and print the "I can't say I do without you" tags below, cut them out and punch a hole at the top of each one. Thread about an arms length of twine through the hole of one tag and warp it around the neck a bottle. About halfway through wrapping add your straw and continue wrapping until there is about 6 inches of twine left. 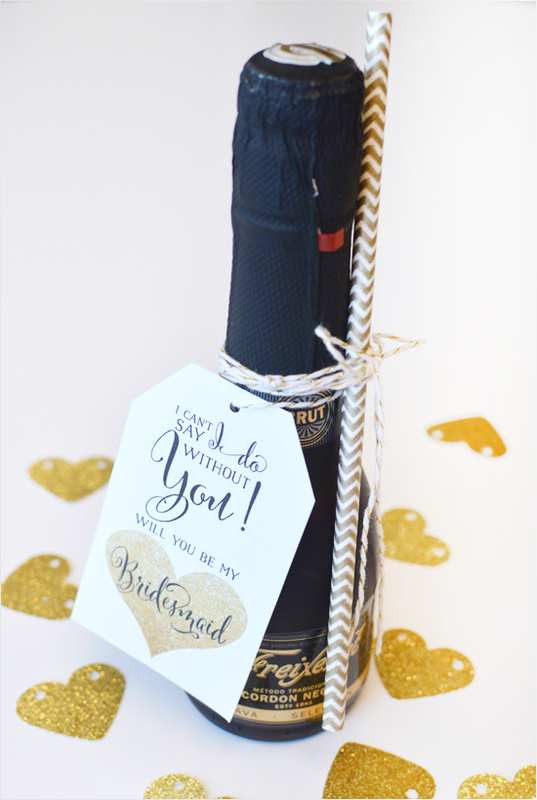 Tie a cute little bow and then set them out to surprise your soon to be bridesmaids!